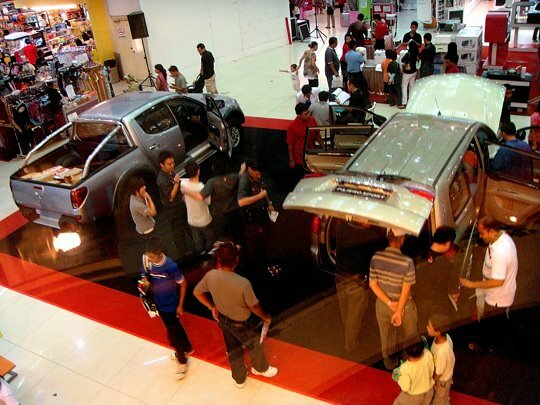 I visited a car road show by EON Automart a couple of weeks ago at Karamunsing Complex lobby. 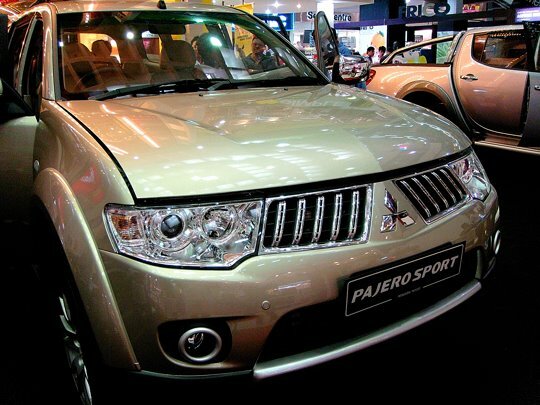 On show were a number of Mitsubishi vehicles including the newly launched Pajero Sport. It so happened that I brought along my PnS camera, so, I asked permission from the Sales Consultants and began firing away. The followings are for a treat. My observation would purely be based on personal opinion, myself being just another car driver whose choice of ride is just as ordinary as other consumers out there. That I am not a car expert or a car mechanic. Firstly, this Pajero does not resemble the older version of the full-sized Pajero, or a refinement of the later to say the least. It looks more like a combination of the Triton and the Challenger. 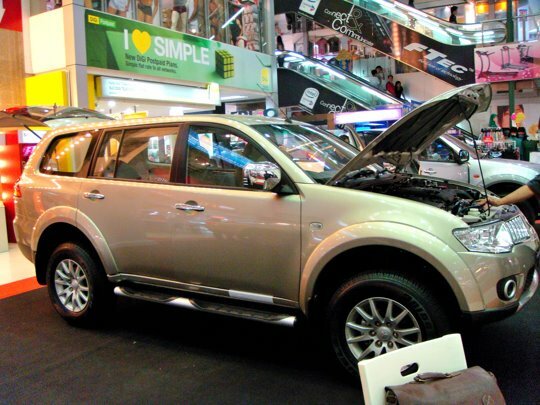 Secondly, the term Sport should imply a little bit of sportiness in the build of the SUV such as the Fortuner Sportivo, Sorento Novus and the face-lifted Rexton. 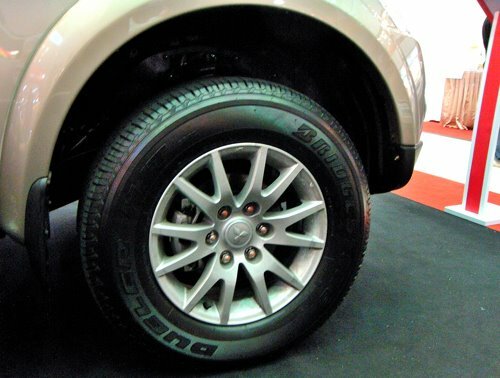 If you are expecting a sporty SUV in the new Pajero then expect to be a little bit disappointed. Personally I would like to see a different front grille on the Pajero instead of a familiar looking adaptation from the Triton. A little bit of skirting and spoiler would be more appealing. As it is now, the new SUV looks plain and empty, apart from the awkward choice of side step. A refined Challenger would be more sporty. Value for money? My answer is yes, if you compare it with the Fortuner solely. 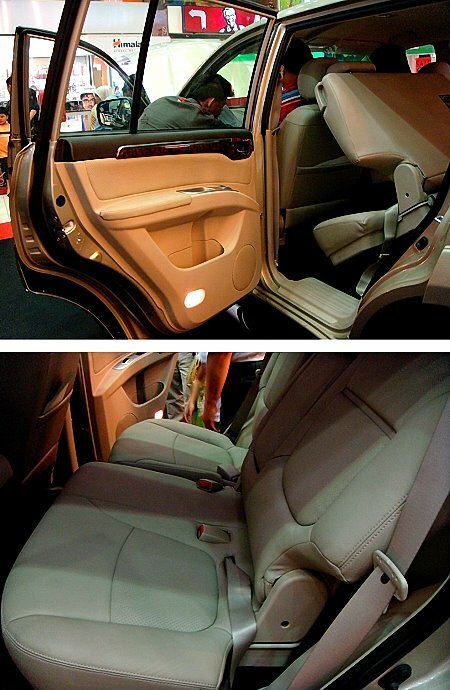 Some of its plus points are the combination leather seat, 17-inch alloy wheels, better audio system, keyless entry system, chromed-plated door handle and side mirror. 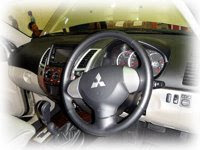 And most importantly it is automatic transmission for ease of driving experience for the urbanites. Compare it with Santa Fe and it may have serious competition in value-for-money. I was hoping for something different from Mitsubishi and I was sorely disappointed at how they emulate Toyota in producing the Pajero Sport. 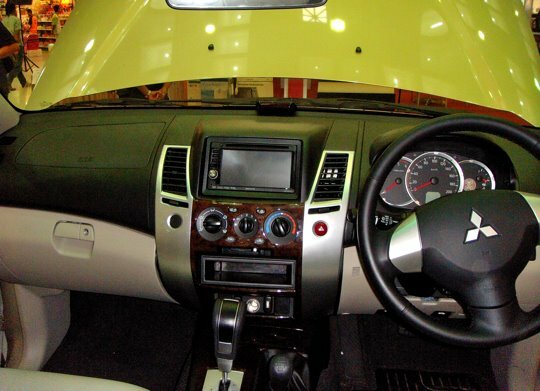 Just look at how Toyota practically modified the Hilux into Fortuner and you’ll understand the similar case of Mitsubishi’s Triton-turn-Pajero job. Will I buy it? Have it been available when I bought my current SUV a couple of years back, perhaps I’d have seriously considered it, together with Hyundai’s Santa Fe. 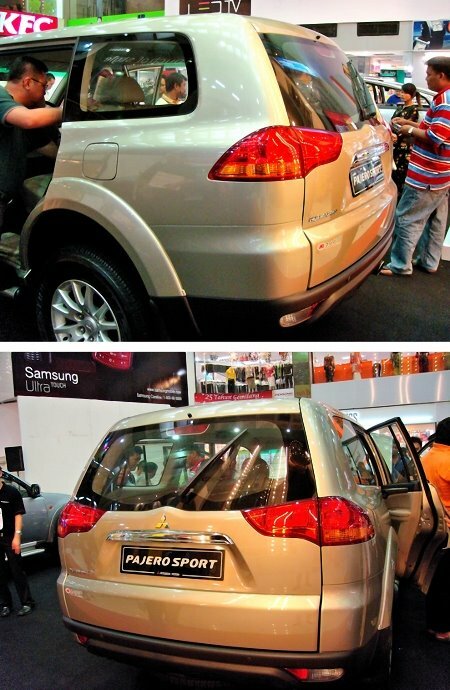 It would be a serious contender and rival to the Fortuner if it’s priced at around RM150k. 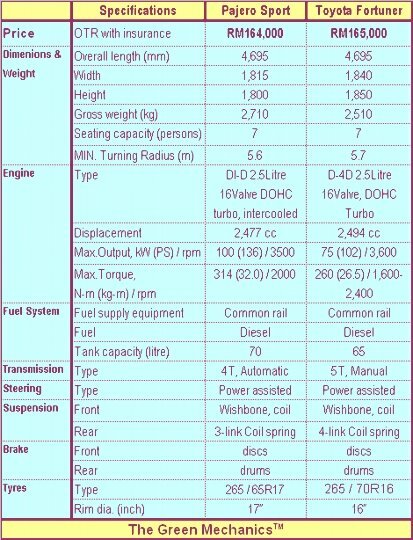 Overview of the Pajero Sport. Stylish tail lamp and nice chrome-plated side mirror. I would add a spoiler if it was up to me. My favourite – the 17” alloy wheel. A bit expensive but it adds to the car sportiness. BTW, one of the friendly Sales Consultants I was chatting with at the exhibition was Mr Nazly, or call him Naz. Their office (EON Auto Mart) is in Tg Aru Plaza and you can reach them at 088-255150 or Naz himself at 016-8139381.